Finally this evening, a piece for the Telegraph which they have given a title which clashes pretty wildly with what I have written. The point I seek to make in the article was that Anjem Choudhry needs stringent detention, but we need to be careful that we do not start to set some sort of precedents which we then start to over employ. Anyway. Beyond this to conclude my catch up, spoke recently to El Pais about ISIS, spoke to the New Arab about ISIS in Central Asia, and my earlier piece about China’s security problems in Pakistan was picked up by the Economic Times. 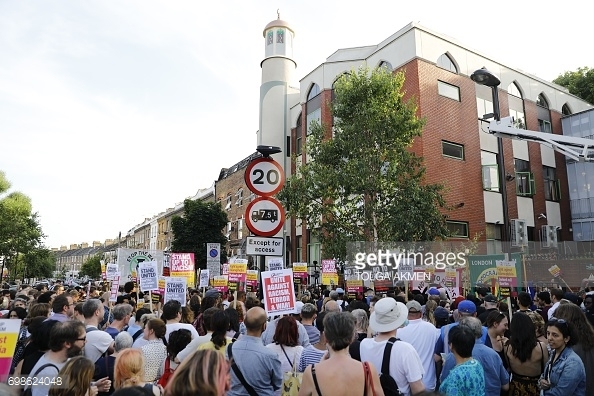 Anjem Choudary is imminently back on our streets. The panic that his release has engendered is likely an exaggeration of the threat he poses. But the bigger issue his case raises is the persistent and chronic responsibility that he is to the police and security services. Given he is unlikely to recant his abhorrent views, he, and a select few around him, will continue to be an expensive and long-term burden. The answer is a pointed strategy to manage them, while also making sure not to create a parallel system of justice that damages our liberties in the long run. There has been scant evidence provided that Mr Choudary has moved on with his life. While some committed and long-term extremists do change their minds over time, these are unfortunately the exception rather than the norm. 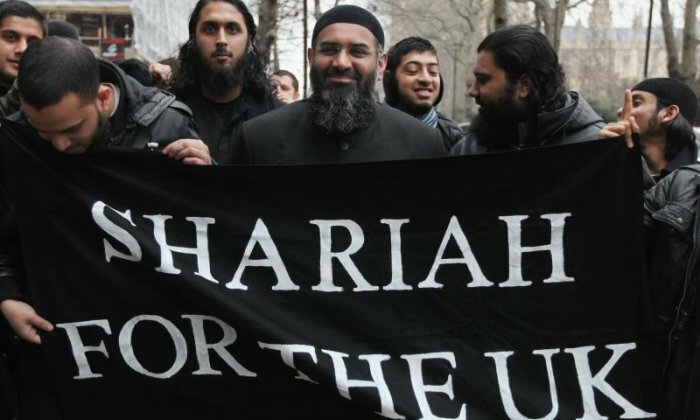 Were he allowed to, Mr Choudary would undoubtedly return to his earlier pattern of behaviour: advancing his extremist views, recruiting followers to the cause and providing a microphone for violent Islamist ideologies in the West. He has been on this journey for his entire adult life, merely adapting his rhetoric to reflect how legislation has changed around him. He is not, however, simply being turned back onto the streets. Mr Choudary will be placed under highly restrictive conditions. He will be kept offline, away from centres of radicalisation and his old networks, away from children, and have to report to authorities on a regular basis. This will have an effect on his ability to propagate his message. But in many ways the bigger problem is not that he returns to his old ways. His high profile almost guarantees he will be unable to move without being observed or controlled. The political ramifications of him doing something embarrassing mean police and security services will ensure he is on a very short leash. Security services will try to extend this tight control to those in the immediate circle around him – though as we have seen with other recent releases, this is difficult to do for a community that does not get smaller. This is a chronic management problem. 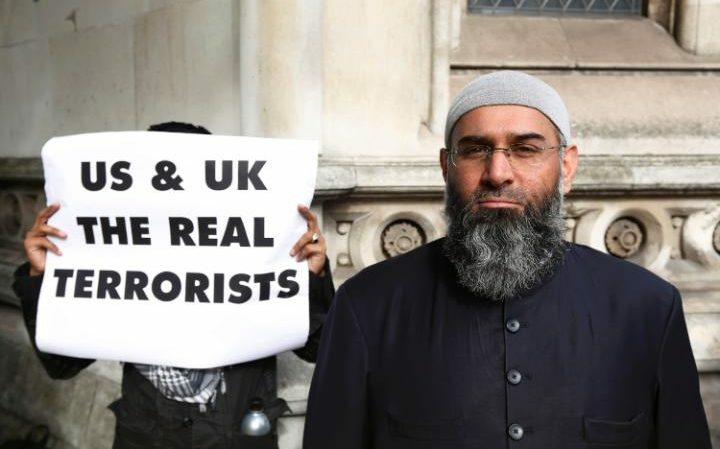 Dedicated extremists like Mr Choudary are unlikely to recant their views any time in the near or medium-term future. And as we have seen with cases like Khalid Masood, the Westminster Bridge attacker; Ronald Fiddler, the former Guantanamo detainee who blew himself up in Iraq last year; Abdul Wahid Majid, the Crawley man involved in the al Muhajiroun community since the late 1990s, who was the first reported British suicide bomber in Syria in 2014; or Terrence Kelly, more famously known as Khalid Kelly, who first fell into al Muhajiroun’s orbit in 2002 and then blew himself up in an ISIS attack in Iraq in November 2016 (to name a few). 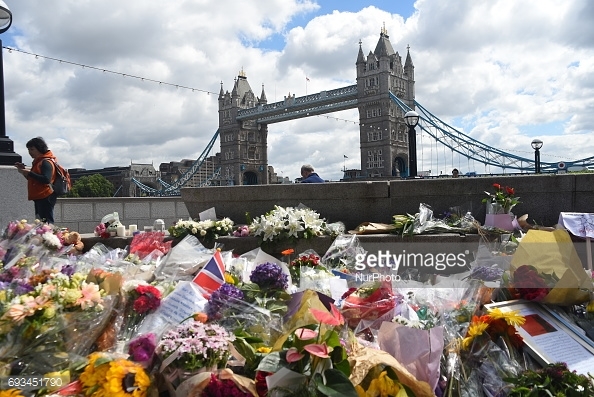 People can take a long time to move from moving in extremist circles to being involved in attacks. Of course the radicalisation trajectory is not the same for everyone. But the point for security services is that radicalised individuals can remain of potential concern for some time. Inevitably, the answer is complicated, but has to be individual specific. For persistent long-term radicals who show little evidence of recanting their views or moving on with their lives, restrictive conditions that control who they fraternise with, what information they access, and where they are able to go is the answer. New technologies may be able to help alleviate the burden of how this is carried out (monitoring technology may enable methods of keeping tabs on people and their behaviour without having physical officers in permanent observation). This needs to also be accompanied by intense efforts to get people to disengage and de-radicalise. All of this may appear draconian, but it is a limited number of people that we are talking about. For those who break these terms or refuse to move on, escalating levels of punitive sentencing will keep them off the streets. This reduces the burden on security services for a period, but also is an important deterrent to others. But, most importantly in some ways, we have to be careful that legislation or tools we put in place to control Mr Choudary (and the relatively small group around him) do not completely warp our legal system. As irritating and consistently dangerous he and parts of his group might be – they represent a fringe of a fringe. Overreaction will only strengthen their sense of victimhood and bolster their cause. Managing this as a chronic problem with no clear conclusion is unfortunately going to be the only way to deal with a core group of individuals who trouble our society. Letting them simply run rampant or punishing them in an extreme way will not make the problem go away, it might in fact make it even worse. A new piece for my institutional home RUSI and Sky News, which is part of a collaboration we are doing with them institutionally looking at the Daesh documents which were leaked recently. The piece was both published on the RUSI site and Sky News. My excellent colleague Clare Ellis was the lead on this work, so thanks to her for pulling it all together. More on this topic to come! A preliminary analysis of leaked Daesh recruitment files by RUSI experts suggests that the social processes underlying the radicalisation and mobilisation of foreign fighters still mirrors those of Al-Qa’ida. In March 2016 it was revealed that a defector from Daesh (also known as the Islamic State of Iraq and Syria, ISIS or IS) had obtained a memory drive containing the personal details of thousands of foreign fighter recruits. Sky News has shared the information with RUSI, and while its researchers are still conducting detailed analysis of the records, a preliminary examination has revealed a number of insights. The majority of the documents appear to be arrival forms, completed by or for Daesh recruits as they sought entry into Daesh-controlled territory between early 2013 and late 2014. They are bureaucratic in nature, with 23 fields recording details from basic biodata to level of Sharia-related knowledge; there is even a space on the form where the date of the individual’s death can be entered, should the recruit die while fighting with Daesh. While of evident value, it is important to acknowledge the limitations of this database. They offer only a partial snapshot of those who travelled to Syria and Iraq – it is impossible to know how many others travelled during this period, or how this specific dataset compares against the broader picture. Nevertheless, they provide important details not only about individuals but also about how Daesh administers its territory; about the recruitment, radicalisation and mobilisation of foreign fighters; and about how the group has learned from the experiences of its precursor organisation, Al-Qa’ida in Iraq (AQI). Examining the format of the documents, it is clear that they represent an attempt to impose control and implement state administration. There are some similarities with AQI’s practices: these forms record similar information to that found in the AQI archive known as the ‘Sinjar records’, including the recruit’s route of entry, his or her facilitator and the personal belongings being deposited.There are also indications that AQI’s initial model has been further developed to record the knowledge and experience of incoming fighters. There are additional fields, not found in the Sinjar documents, to record the recruit’s level of Sharia knowledge and his or her previous experience of jihad. There is also evidence that further notes were made to record any potentially relevant skills or knowledge beyond those relevant to combat. The bureaucracy of ‘state’ administration points to the dual nature of Daesh. As the group has come under increasing military pressure in Syria and Iraq, it has amplified its efforts to inspire, instigate and direct attacks against the West. 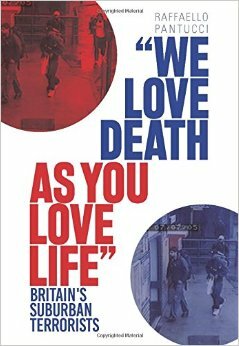 Former Director General of MI5 and RUSI Senior Associate Fellow Jonathan Evans has categorised this strategy as ‘chaotic terrorism’, with some attacks directed by the group, but many undertaken by ‘disparate individuals who may have no actual contact with the group but are encouraged through its propaganda’. There are therefore stark contrasts between these dual roles: Daesh is simultaneously a tightly controlled and bureaucratic ‘state’, and a loosely controlled ‘chaotic’ global terrorist movement. Examining Al-Qa’ida’s recruitment practices, Marc Sageman encapsulated the importance of social bonds in what became known as his ‘bunch of guys’ theory. He showed that bonds of kinship, or friendship, often predate recruitment and radicalisation. Similarly, anthropologist Scott Atran’s research finds that kinship and friendship are crucial to understanding why people radicalise and embrace violence: ‘people don’t simply kill and die for a cause. They kill and die for each other.’Daesh has skilfully exploited social media to spread their message to a global audience; however, as Peter Neumann at the International Centre for the Study of Radicalisation (ICSR) has argued, social media is a powerful propaganda tool but it has not displaced the importance of these real-world connections in mobilising people to action. Initial analysis of the leaked documents reinforces this insight, revealing evident geographic clustering within foreign fighter recruitment. Just as analysis by the Combating Terrorism Center (CTC) of the Sinjar records revealed a high proportion of AQI recruits arriving on the same day as others from their hometown, these documents show many British fighters arriving in groups. 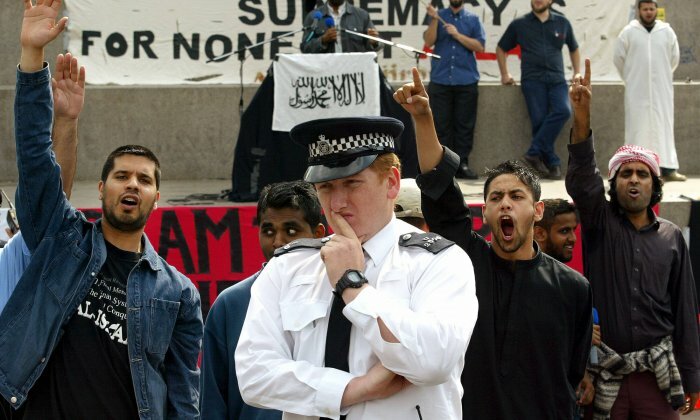 The fact that some of these groups hail from the same place, with notable concentrations from Coventry, Cardiff and Portsmouth, underlines the importance of offline interactions in radicalisation; were social media the crucial element, then (as Neumann has explained) recruits would be dispersed across the country rather than clustered in specific locations. Moreover, the documents confirm that in gaining admittance to Daesh-controlled territory, it is necessary to declare a sponsor. Like Al-Qa’ida before it, Daesh seeks to verify the identity of its new recruits to limit possible infiltration. One individual who appears in this role is particularly noteworthy: Omar Bakri Mohammed, the Syrian preacher who founded the group Al-Muhajiroun in the UK in the late 1990s (an extremist group that was later proscribed in 2010). 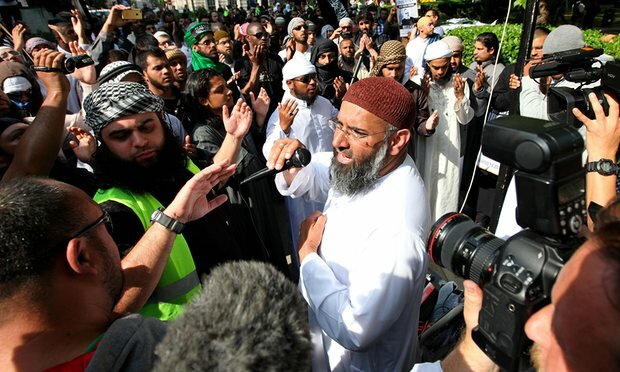 In the wake of the July 2005 bombings, he fled the UK, and was subsequently barred from returning by the Home Secretary.From his base in Lebanon, Omar Bakri appears to have continued his radicalising activity. While this is not a new revelation, it is striking that he is cited as a sponsor numerous times in the Daesh database. 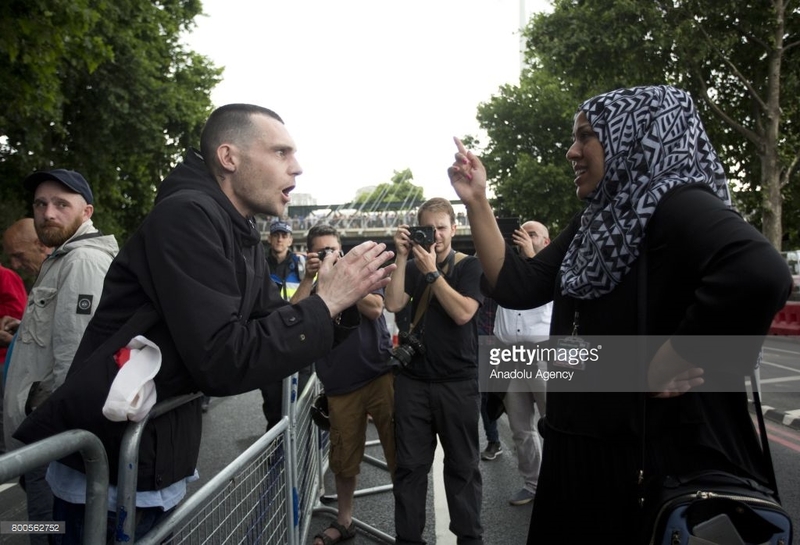 Previously dismissed as a ‘loud-mouth’ – most amusingly characterised as the ‘Tottenham Ayatollah’ in Jon Ronson’s 1996 television documentary – Bakri now appears able to facilitate access to Daesh. This highlights the continuing threat from charismatic extremists, as well as the persistence of jihadist networks – in this case both still posing a threat more than two decades after their emergence. Daesh has clearly learned lessons from Al–Qa’ida, and AQI in particular, so that it can hold territory more successfully and more effectively utilise the skills of its recruits. However, the evidence from the Daesh database suggests that the fundamental mechanisms of terrorist recruitment and radicalisation are still the same.Social media has given the group greater access to a global audience, but the social processes underlying the radicalisation and mobilisation of foreign fighters still mirrors that seen among the recruits of Al-Qa’ida. Behind the bureaucracy, foreign fighters are still just a bunch of guys.